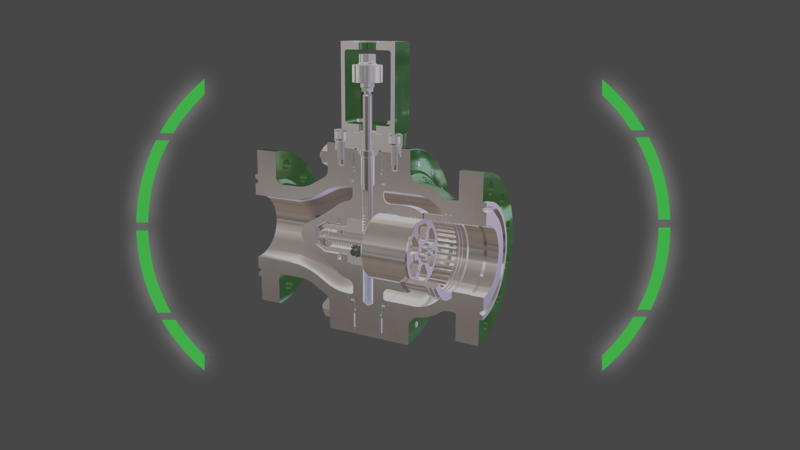 Reduced turbulence through the valve body as a result of the streamlined flow path. High capacity, low noise and minimal pressure loss through the body. Flexible design allows the use of forgings or castings. Full NDE accessibility for the pressure boundary components. Advanced sealing and precise component manufacturing result in zero leakage. Highly durable fast acting and precise. Zero risk of gear teeth seizure even in low or non lubricated service. Low friction and high efficiency compared to sliding gear mechanisms. Low backlash maintained over the lifetime of the product. 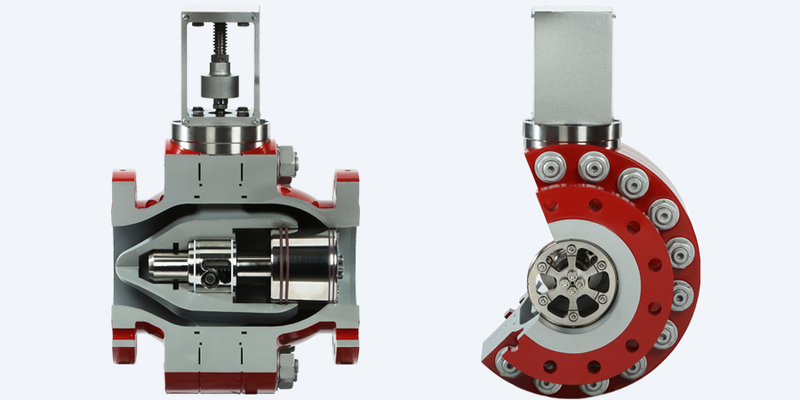 Truly pressure balanced allowing the use of compact and cost effective actuation. Pressure balancing is equally effective in both forward and reverse pressure conditions. Axial Control valves can be manufactured and tested in compliance with International valve standards according to customer requirement. Including but not limited to API, ANSI, ASME, BS, DIN, IEC, ISO & MSS. Valve sizing and trim selection are determined using Goodwin proprietary software in compliance with IEC 60534. The core of our quality is our people and our processes, and the people and processes are the core to our success. 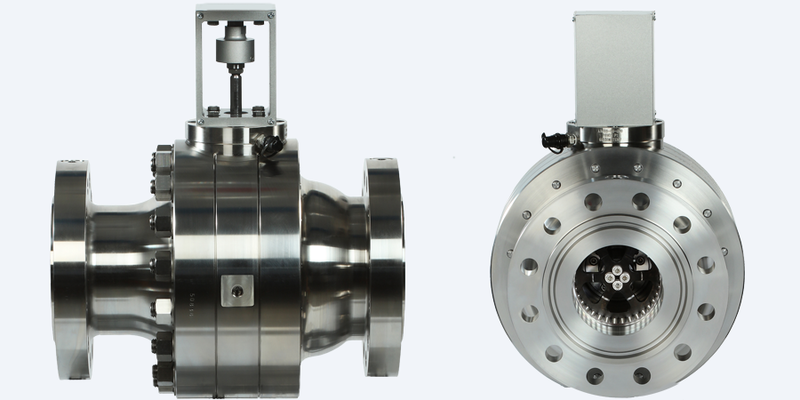 Extensive research and testing has been conducted by Goodwin to validate the reliability and performance of the new generation of Axial Isolation and Axial Control valves. 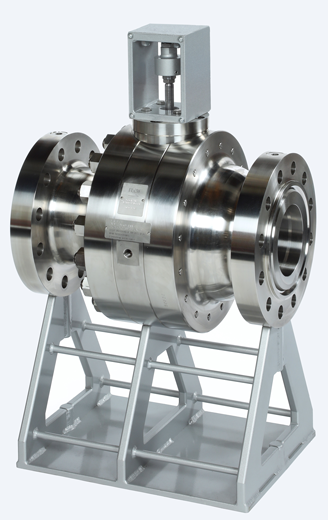 Isolation valve sealing and mechanical performance are tested using a purpose built Hydraulic Flow Laboratory. Control valve capacity, flow characteristics and acoustic performance measured using a purpose built Pneumatic Test Laboratory. Finite Element Analysis (FEA) used to verify the mechanical integrity of the design. 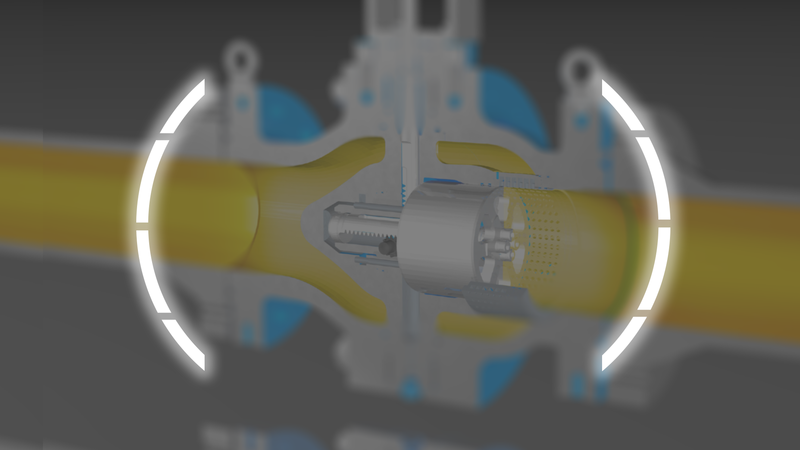 Computational Fluid Dynamics (CFD) to simulate flow through valve and to aid trim design in the Axial Control valve. Fire Testing conducted in compliance with API 6FA & ISO 10497 for the Axial Isolation valve range. 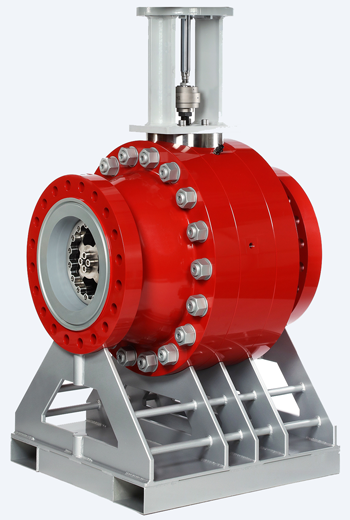 The Axial Control valve comprises the same sealing technology and as such can be considered a fire safe design. Fugitive Emissions testing conducted in compliance with International standards. Extensive mechanical and microstructural analysis is conducted when selecting materials to ensure compatibility and eliminate fretting and galling. Application specific seal performance testing. ...THE EASY OPERATION OF THE VALVE AFTER TESTING SHOWED A GOOD FIRE TEST DESIGN. A Goodwin Axial Isolation Valve was supplied to Technical Valve Services Ltd. to access the valves fire safe performance. With Lloyds Register in attendance to witness and certify, a fire test was conducted in accordance with API 6FA. Engulfing the pressurised test valve in a 761°C flame environment for 30 minutes, the valve was subsequently verified for external and through seat leakage as per the standard. 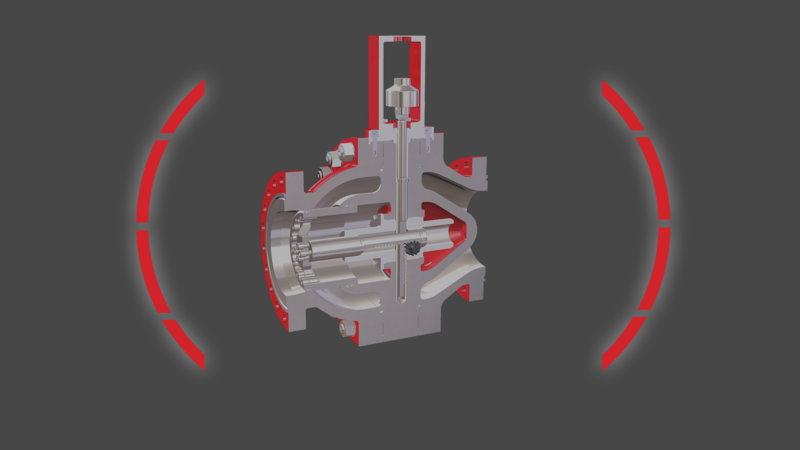 The valve was tested in both the preferred flow direction and the reverse direction. The same valve passed both fire tests with ease without any need to adjust or replace any of the valve components or soft seals between tests. The Goodwin Isolation valve performed well in the fire test against standard API 6FA:2011; no leakage occurred during testing in the operational direction. While it is not required by the standard, the valve was also tested against the operational direction. In this test during a burn of 1.5% of the allowable amount, the valve had absolute minimal leakage demonstrating excellent capability. The easy operation of the valve after testing showed a good fire test design. We specialise in heavy precision, complex milling and turning and in particular with exotic materials such as Duplex and Inconel, as well as the standard materials such as carbon steel and stainless steel. Through sustained investment in our people, facility and markets, our Company is a world leader in its technologies on a global basis, and does so whilst providing exemplary customer service. We specialise in heavy precision engineering incorporating all engineering activities and with our extensive capacity we are able to handle components up to 100,000kg which enables us to provide a one-stop shop whether you require a "build to print" or more in depth service. 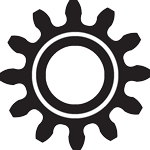 We have a workshop with modern and highly sophisticated machine tools. In addition, Goodwin International working through the notified body BSI is PED 2014/68/EU accredited. Goodwin supplies its valves in compliance with PED 2014/68/EU for the EEA or to meet customer requirements when specified. Compliance with ATEX 2014/34/EU is by self declaration and a technical file is lodged and filed securely by an independent notified body (SIRA). Goodwin International has always subscribed to manufacturing product to the highest possible quality. Goodwin has held quality registration by British Standards Institute (BSI) since 1984, originally to BS5750 and developed through the years to now be compliant with ISO 9001. Goodwin International has been at the forefront of the design and production of valves for over 30 years with applications across a wide spectrum of industries. Goodwin International Limited is a company registered in England Company No. 468115. VAT No. GB278923705. A subsidiary company of Goodwin PLC. Registered Office: Ivy House Foundry, Hanley, Stoke-on-Trent, ST1 3NR. All website content including images is Copyright 2017 © Goodwin International Limited. All rights reserved.